One of the questions we get asked most is: "which TV should I buy?" And no wonder, as well as two main types (plasma or LCD) the TV market is vastly complex and can be very confusing. To help you here are the answers to the most common questions you need to consider - and some pointers for when you go to the shops. How do I choose between plasma and LCD? If you're set on a particular size of television, the decision between the two competing flat TV technologies could be made for you. LCD TVs start at 14 inches and go right up to 65 inches, whereas plasma tech is used only on TVs from 42 inches and above. There are a couple of exceptions to this rule: LG make a unique 32-inch plasma and Panasonic do a quite superb 37-inch plasma. LCD TVs are now available at reasonable prices across all sizes, but don't discount plasma if you want a big TV of 42 inches or bigger. Both technologies are very versatile, but LCD TVs do have a few problems. I've heard LCD TVs are blurry and plasmas are better quality. Is this true? Because they use an always-on backlight, LCD screens simply cannot show black, instead displaying a grey-ish tone that looks especially disappointing if you turn the lights off and watch in a blackout. On the other side is plasma, which uses tiny cells of neon and xenon gas behind each pixel that can adapt instantly to changes in brightness – and switch off entirely for dark areas of an image. This helps plasma show more detail and a lot more depth in gloomy pictures – and it's this cinematic performance that's a big advantage given the dour nature of many popular films (Batman Begins, Lord of the Rings, anything by Tim Burton). Plasma TVs also have a wider viewing angle than LCD TVs, which is important if you're likely to be watching from the side. The main problem found with LCD tech is blur. Moving pictures tend to leave a smear and a judder that can be uncomfortable to watch, though the first 100Hz engines (where picture information is flashed on the screen twice as fast) are now used by the bigger brands – and it's slowly becoming less of a problem. Buy a sub-£400 LCD TV and these problems of contrast and blur are likely to be obvious, but there are (expensive) exceptions that solve almost all of LCD's traditional problems. Plasma also has its pitfalls. It's generally assumed that plasma uses more power than LCD TVs, but this has never been proven beyond doubt. 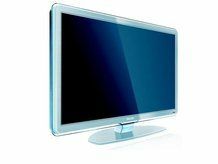 What is clear is that plasma TVs show a little less detail than similar sized LCD TVs, though this can be an advantage if you're watching Freeview on a bigscreen – some LCD TVs tend to present digital channels with a lot of picture noise. Who makes the finest LCD TV? And what about the best value? Philips currently claims that crown. Its latest LCD TV is fitted with over a thousand LED lights and can show jet-black without any problems. If you're after an affordable but good quality 32-inch set for the lounge, the choice is endless, with Sony, Panasonic and Samsung currently making the best sellers. Who makes the finest plasma TV? And what about the best value? No doubts here. Pioneer's 'Kuro' plasmas TVs are the finest around with price tags to match, but Panasonic churn-out some excellent plasma TVs that are surely the best value flatscreen TVs available, regardless of the screen technology used. Most TVs in the shops and online seem to be LCD TVs. Is plasma in danger of disappearing? And, if so, should I avoid investing in it? Double negative. It's true that although plasma was the original flatscreen tech, the mass-market demand for sub-42-inch sets has seen LCD build up quite a lead among buyers. Now only one in ten flat TVs sold use plasma screens, though this hides the fact that plasma is still very popular for screens over 42 inches.